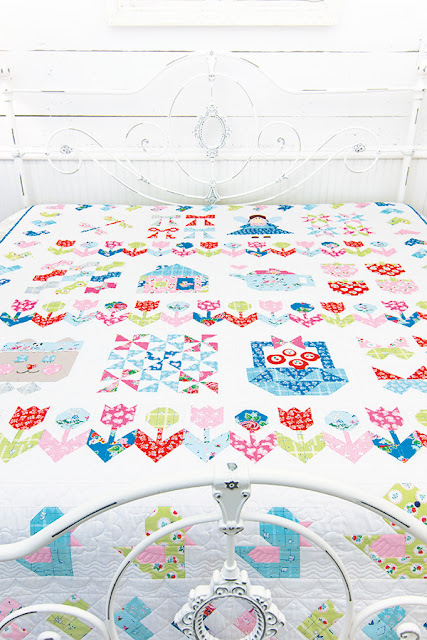 Welcome to our Pretty Playtime Quilt Along, featuring the Pretty Playtime Quilts book! This is It’s Sew Emma’s first book by Elea Lutz, popular fabric designer for Penny Rose Fabrics. 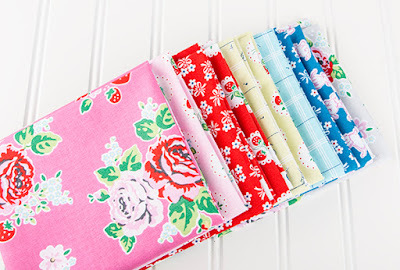 Featuring her Strawberry Biscuit collection, these six projects (including a tooth fairy pillow and a breathtaking sampler quilt) bubble over with charm, imagination and whimsy. 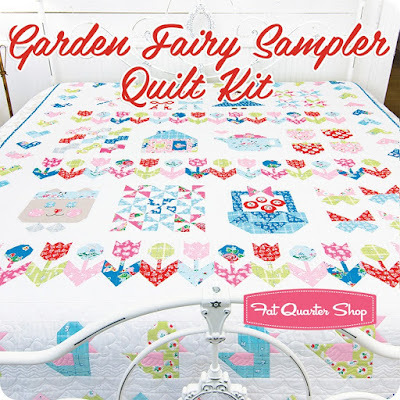 This Quilt Along will focus on the Garden Fairy Sampler Quilt above, and is it ever a beauty! Broken down into 16 weeks, our Quilt Along will feature one block (or section of the quilt) each week. First up? The dragonflies in the upper left corner of the quilt! Want to quilt along with us? We'd love that and have a kit prepared so you can start stitching along! 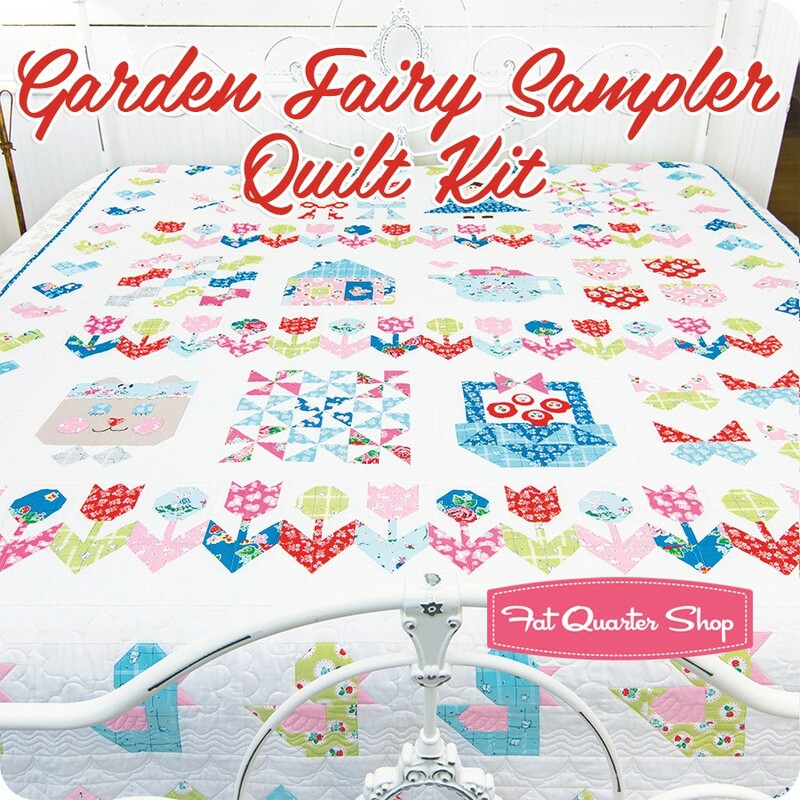 The Garden Fairy Sampler Quilt Kit includes the fabric for the top and binding, and we also have a Backing Set for the Fairy Garden Sampler Quilt! 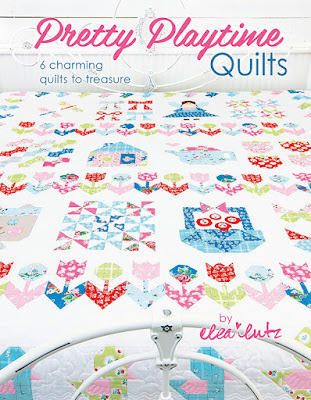 Don't forget that you'll need a copy of the Pretty Playtime Quilts Book, so order your copy of the book and kit today! We have a great group of quilting bloggers joining us for this event, and each week one of the 15 bloggers will share their assigned block or section with you. Here is a list of our fabulous quilting bloggers for this Pretty Playtime Quilt Along - thanks for joining in the fun, ladies! Happy Quilting, everyone. See you back here for Week 2!